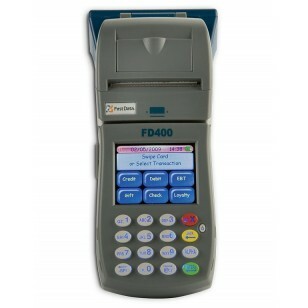 The First DataFD400 Terminal is a wireless, hand-held point-of-sale (POS) device that merchants can easily use remotely. 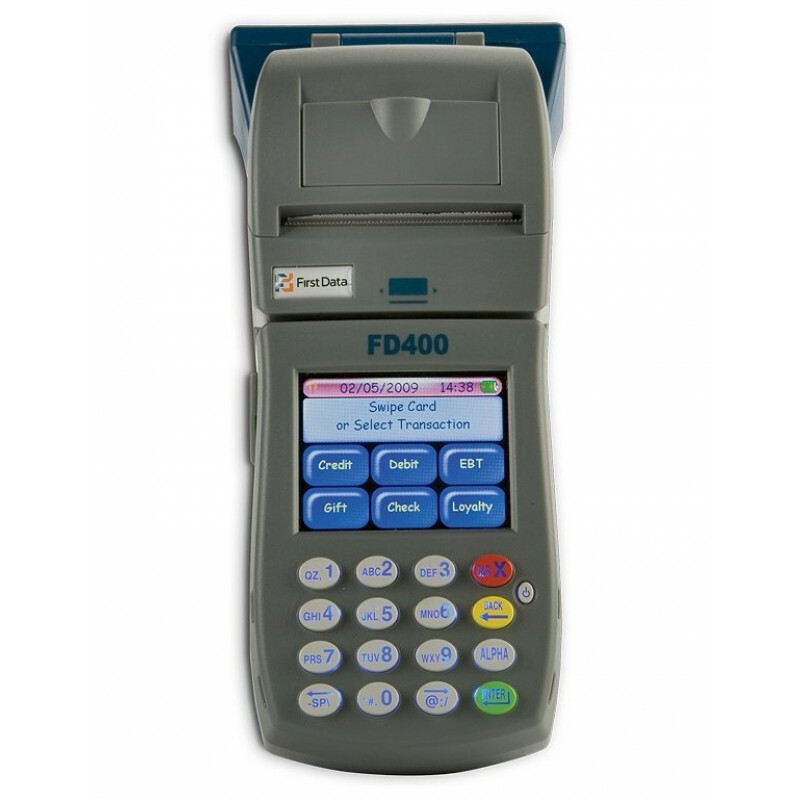 The First DataFD400 Encrypted Terminal is a wireless, hand-held point-of-sale (POS) device that merchants can easily use remotely. It allows merchants to provide customers with the convenience of a full spectrum of payment options and the ability to access downloads wherever they do business. With its easy, touch-screen interface, the First DataFD400 makes training and use a breeze. The terminal can handle transaction processing through credit, debit, gift card, paper warranty and electronic benefits transfer (EBT) - all from a single provider! * Full First Data Independent Sales (FDIS) processing. * An optional carrying case with nylon strap. * An optional clear protective overlay for the keys. * An optional car charger that can be used on the go.